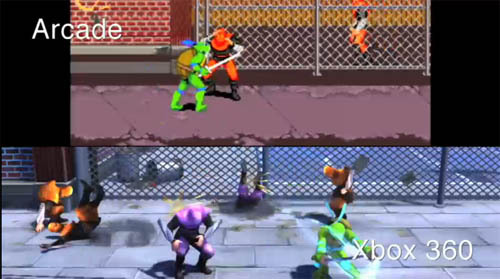 The GameVideos crew took the new Teenage Mutant Ninja Turtles: Turtles in Time Re-Shelled for a spin through the wayback machine to see how it compared to it's arcade original. The video shows the games running side by side with each other, which gives you an idea just how far this game has come. One thing I noticed is the newer version seems to lack some of the "pop" in color the original had. What differences do you notice?